There is still a lot of confusion about what blockchain technology can actually do and how mature it really is. Although there is a lot of hype surrounding blockchain technology, mainstream adoption is still 10 years away. This is according to a new Forrester report, which points out that blockchain technology adoption will follow a three-phase trajectory. Blockchain is a new, smarter way to automate cross-industry interactions, and represents huge increases in efficiency and massive cost savings. In regards to the trajectory, Forrester says many organisations have started the transition from the "irrational exuberance" phase to that of "rational assessment" with a strong focus on all that needs to be addressed from a technology, process and regulatory perspective. Forrester believes "practical deployment" of blockchain technology for entire processes, however, is unlikely to happen within the coming decade. It notes there is still a lot of confusion about what blockchain technology can actually do and how mature it really is. "While blockchain technology is certainly worth investigating, CIOs should not be fooled into thinking it is the panacea for all the potential use cases currently under discussion," says Forrester principal analyst, Martha Bennett. "Despite what the headlines suggest, all blockchain projects are in the early exploratory phases. It's not something you can buy and deploy, and what's easily forgotten in all the euphoria is that very little has actually been proven yet," Bennett explains. CIOs should critically assess what their needs are and get a much fuller understanding of their options before jumping on board the blockchain bandwagon, she urges. Alistair Milne, professor of financial economics and co-director of the Centre for Post Crisis Finance at the School of Business and Economics at Loughborough University, says application of blockchain technologies are only 20% about technology and 80% about business process. He points out mainstream adoption will require substantial changes in business processes affecting many participants and this will take a long time. Anybody can use the blockchain currency without requiring a bank account or permission from any organisation, says Lorien Gamaroff, CEO of Bankymoon. "Adoption has not yet begun. We are still at the stage of developing use cases. The exceptions, for example, the use by Nasdaq of blockchain to record ownership in their pre-IPO market instead of tracking on spreadsheets shows such application is possible, but still very small scale." According to Milne, blockchain has not yet proven it will be important to business. "The reason for interest is the realisation that a lot of resources are used unnecessarily in duplication and reconciliation of databases and it is perceived substantial cost reductions may be achieved by using shared data arrangements, including blockchain." 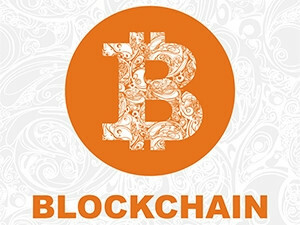 For Lorien Gamaroff, CEO of Bankymoon, a software company providing blockchain solutions, mainstream generally refers to existing organisations that are considering incorporating blockchain technology into their businesses. He believes public adoption might happen much earlier than 10 years, particularly because the barrier to entry is so low. "Anybody can use the blockchain currency - Bitcoin - without requiring a bank account or permission from any organisation. 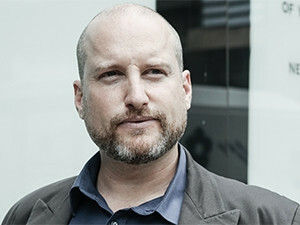 It is open source and publicly available to anybody who wants to use it," says Gamaroff. He believes that as the purchasing power of central bank currencies around the world trend lower, people will want to hedge against inflation. "Gold has, traditionally, been the preferred hedge against inflation but now there is an alternative which is much more convenient. It is difficult to store and transact with gold because it is a physical object. Bitcoin is considered a digital version of gold which makes it much easier to store and use in transactions. These qualities will become known and attract many people to it." He also points out large technology companies like Microsoft and IBM are developing solutions for businesses to be able to easily deploy blockchains. "They have realised that not everybody wants to be concerned with the security and infrastructure requirements that are necessary to successfully build blockchain-based products and services. This will make the barrier to entry much easier to scale and the adoption rate will increase." He points out Africans are slowly becoming aware of blockchains through Bitcoin. However, there is still a lot of misunderstanding about what it is and how it works, although perception is changing. "Mistrust in local currencies makes Africans open to the idea of a currency that cannot be manipulated and controlled."